The recessed handwheel is just one example of how the bernette London 8 was designed with an eye for detail. Situated in a recess, the handwheel is mounted flush with the housing of the bernette London 8. This means that not only is it easy to access and operate – it’s also well protected, and never in the way. Manual adjustment of the needle up/down position and manual fabric feed is simplicity itself. 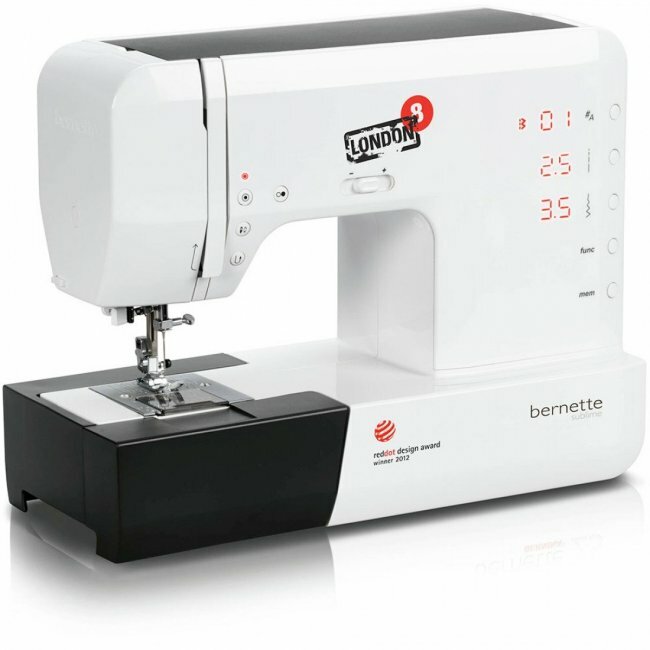 As with the controls under the flip-top lid, the “closed” block design of the bernette London 8 is maintained, and there are no problems with protruding parts during transportation and storage.